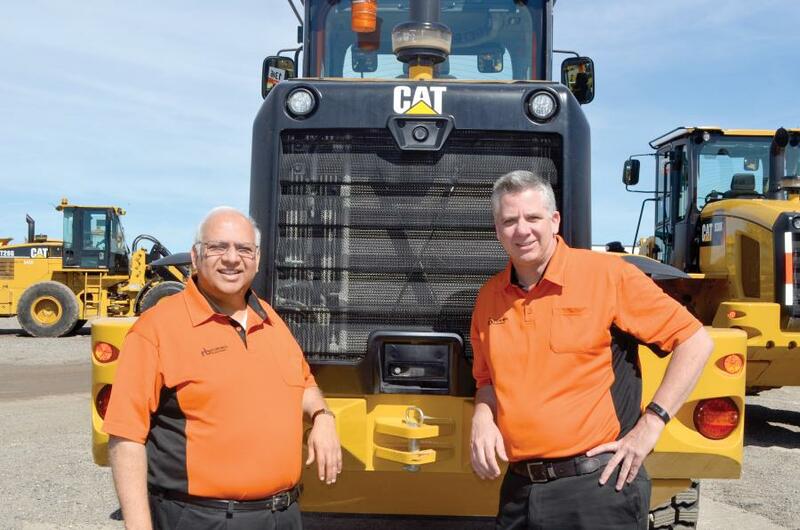 Ravi Saligram (L) and Terry Dolan, both of Ritchie Bros. Auctioneers. Ritchie Bros., a global leader in asset management and disposition and the world's largest industrial auctioneer, recently acquired Petrowsky Auctioneers, significantly enhancing its market presence in the New England region. At this time, Ritchie Bros. doesn't foresee any changes to the experience attendees receive from Petrowsky Auctioneers, according to Terry Dolan, Ritchie Bros.' president for the United States and Latin America. Catering largely to equipment sellers in the construction and transportation industries, Petrowsky's auction sales are well aligned with Ritchie Bros.' sector focus, despite their differences, Dolan said. The company currently is evaluating how it will be able to leverage additional features and services offered at Ritchie Bros. to Petrowsky auctions going forward. Ritchie Bros. Financial Services will be available immediately for buyers at Petrowsky auctions. What Does This Acquisition Mean for Buyers and Sellers? The planned short-term changes are technological in nature, with one being the integration of Ritchie Bros.' pool of online buyers, potential virtual ramp selling of static lots and “app” capabilities, according to Piotrkowski. Petrowsky Auctioneers will continue to offer its consignors the option of setting a transparent reserve price on equipment if they choose. “Transparent reserve means that owners will not be permitted to bid on their own equipment — items must achieve the reserve price without the owner raising the bid. This is one of the reasons why we are choosing to keep the Petrowsky brand separate from Ritchie Bros. These transparent reserve auctions will be offered exclusively through Petrowsky. Ritchie Bros. live auctions will remain completely unreserved,” Dolan said. “However, it's important to understand that while Petrowsky does offer its customers the option of setting a reserve, only a small percentage of all the lots sold in their auctions contain a reserve. All other assets are sold unreserved,” he added. The Petrowsky and Ritchie Bros. sales teams will continue to operate alongside each other, offering slightly different auction experiences and sale propositions. In circumstances where an equipment package is best split among different auction channels (Petrowsky, Ritchie Bros. live auctions, EquipmentOne, etc.) the Petrowsky and Ritchie Bros. sales teams will work together to achieve the best outcome for the seller, according to Dolan. “Going forward, Petrowsky sellers will receive some immediate benefits. Petrowsky auctions will reach more buyers than ever before by being listed on and available for online bidding at rbauction.com and receiving cross promotion in various Ritchie Bros. marketing vehicles,” Dolan said. The availability of Ritchie Bros. financing, transportation quotes, and purchase of extended warranties on certain assets, are all resources available to customers. “Even the most ardent Petrowsky product denizens have to see this merger with Ritchie Bros. as a great way to garner exposure and marketing resources that have been tested by the worldwide leader in the industrial auction industry,” Piotrkowski said. The Petrowsky brand will be maintained as a brand extension within the Ritchie Bros. family of brands, given its strong and loyal customer base and its offering of reserve auction options, according to Dolan. Transparent reserve auction options will only be provided under the Petrowsky brand — maintaining the brand foundation of unreserved auctions held by Ritchie Bros. Auctioneers. For coverage of Petrowsky Auctioneers' first public auction under the ownership of Ritchie Bros. Auctioneers, click here.